Due to the amount of spam on this site the rules have been change to prohibit the posting of Youtube links. This rule applies to new users with fewer than 20 postings. (As Originally posted by Roll_Bones). Here's how I make mine. Very similar to meatloaf. 1 cup Italian bread crumbs. 3/4 cup fresh grated Parmesan or Romano cheese. (fresh makes all the difference) if not, you can use the stuff in the green cans. 3/4 cup fine chopped onion. 1/3 cup fine chopped bell pepper. 4-5 garlic cloves crushed and minced very fine. (You can use more if you like garlic)! 1/4 cup ketchup or tomato sauce. Combine all ingredients in large mixing bowl. Mix well, but do not over mix. Let stand at least a few hours or overnight in the fridge. Test a small sample by frying it on the stove. This is to check for seasoning (salt and pepper). If its right, continue on. If it needs salt add it to the meat mixture. Roll meat mixture into golf ball size rounds. Or what ever size you like. Note: You should check for salt right after you finish the mixture. Before you allow it to rest. From here, you can do what you want. I like to fry them to brown them. Then I drop them carefully into a simmering marinara sauce. Allow a few to firm up before adding any more. Push firm ones to the side and drop more in their place. My 11-year-old grand nephew who likes to cook & bake, He likes to bake them in the oven. He likes to put them on top of the spaghetti dry & then put some of the sauce over all on each plate. He taught me that! Last edited by Big Daddy's House; 01-31-2015, 06:13 PM. why the veal and pork. Probably doesn't use ground beef. Mix all ingredients together thoroughly by hand and form into tight walnut sized balls or larger. Lightly colour the balls in olive oil and reserve. Cook till reduced by a 1/4 and then add meat balls. Slow simmer for about an hour or until sauce is thick. Serve with Linguine and sprinkle with fresh Oregano and shaved Grana Padano or Parmigiano Reggiano……. why 500grams? as opposed to 1lb? or in this case 1.125lb. I couldn't measure by metric. Too blasted confusing! I guess that I will have to covert. and not too metric. I am with BDH. It is not superior as you think. you just want to learn something new. many of the members here are from countries other than the USA. In almost all other countries, they use metric. It's really much simpler and neater than the imperial system, and definitely superior, but we seem to be the last hold-outs for converting. We have this attitude that our way is superior, even when it isn't. Someday we'll get over ourselves and join the rest of the scientists, mathematicians, engineers, and cooks, and convert to metric. Until that time, we all need to be more a little more accepting of the way people do things in countries other than our own. Those of us that are serious about learning from each other learn to adapt to both systems. Like PappaL said, "You should try it". OMG! I decided to blog! When I was growing up, in the UK, we used the imperial system. Some time later (I really didn't notice when) we converted to the metric system. I now use both interchangeably - most measuring jugs/scales etc. that I own have both marked on them. I 'm also capable of using US volumetric measures like cups if that's what a recipe specifies. I admit to still being a bit confused about the difference between US gallons (6 pints?) and UK gallons (8 pints). Similarly, it's not difficult to convert oven temperatures (or weather!) from F to C, or Gas Mk whatever. There are so many online conversion tables available that it takes a matter of seconds to check the equivalent, and after a while you get to know them. The only thing to be careful of is to not use a mixture of imperial and metric measurements - often 1 oz is given as 25g, for example - which it isn't, it's 28g - and unless the remaining ingredients are also approximated/rounded down, you'll end up with the wrong proportions. Neither metric nor imperial are actually confusing, they're perfectly logical, it's just a case of what you're familiar with, and being willing to explore ideas that are out of your personal comfort zone/experience. Place meat, egg, crumbs and cheeses in bowl. Add all herbs and spices (dry and fresh) to taste. Place a turn of oil in heavy pan (I use cast iron pan) and heat. Form a small flat test meatball burger and fry. Taste and correct seasoning if needed. 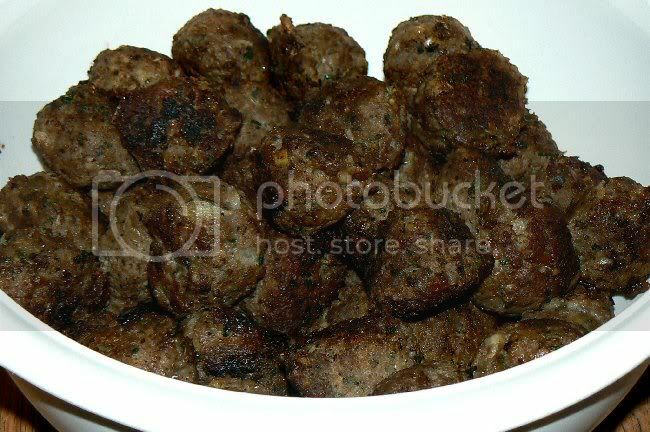 I used a 1/3 cup disher to form the meatballs and flattened them slightly. Place a thin coating of oil in cast iron pan and heat. 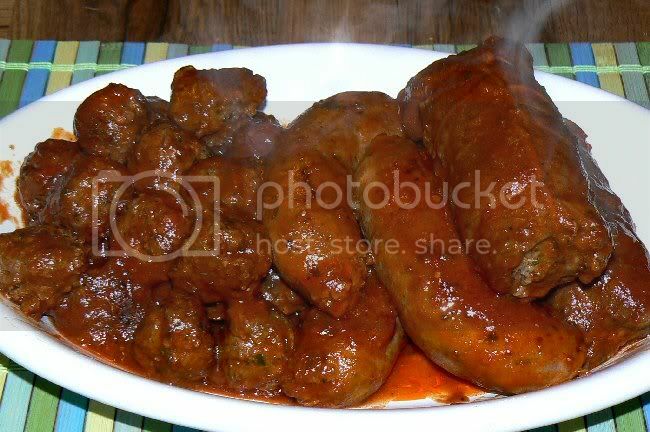 Fry meatballs on both sides (or cook in oven at 450°F. I use convection roast till nicely browned, about 10 minutes) and drain on paper. I use both fresh and dry herbs because they impart different degrees of flavor. Fresh is subtle and dry is more intense. Any and all ingredients should be adjusted to personal taste. Have fun with it till you have it the way you like it, that is the reason for a "test" burger. Last edited by tigerlilly; 12-14-2016, 02:03 PM. I joined the cooking forum to learn, and from what I see I came to the right place. I ask questions because I don't know. be discussed in this forum. Here are some of the aspects in using mteric for recipes, but this seems to be mainly for baking. At times, it seems like you'd need a degree in rocket science to use it! measuring cups have the markings in both regular and metric measurements. I hope that this helps y'all. Last edited by Big Daddy's House; 10-16-2014, 01:34 PM. Yes Sherm, rocket science indeed or at least confusing to the average cook. I bookmarked that one to my Favorites website folder, so that I can go there to learn more about it! That one makes things much easier to see and do!! Not like the one on wikipedia.org, which seems to have tons of confusing jibber-jabber, making me feel ike I'd need a dregree in rocket science to figure it all out!! Last edited by Big Daddy's House; 10-16-2014, 01:37 PM. Meatballs is one of the first things I snuck pork into for my spouse. Trying to make something as simple as a slice of pork is not going to happen but if I can sneak the food in, he will eat it. I don't have a Trader Joe's near me for frozen garlic cubes, does anyone know of another place that will sell them? Bought new Ninja Foodi & a Nutrimill Artiste Mixer!! Powered by vBulletin Version 5.2.4. Copyright ©2000 - 2019, vBulletin Solutions, Inc.